To ensure all of your bridal details are captured on camera and film you need to be prepared on your wedding day. The wedding day is a busy and exciting day and the last thing you want to do is get stressed out when your photographer arrives because they are asking for your bridal details to photograph, and they are scattered here, there and everywhere! 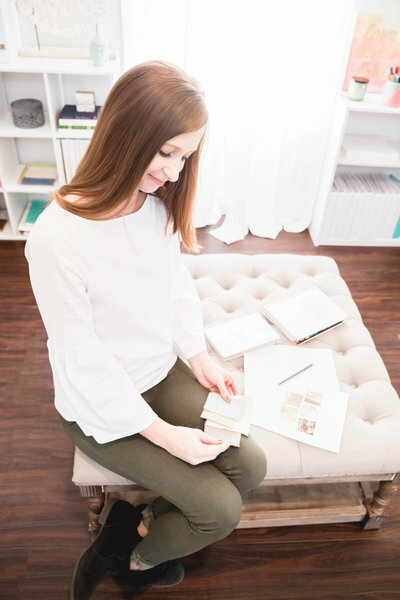 Your photographer is not going to have time to search for all of these items and I would hate for you to not have the important bridal details captured. They are some of my favorite shots! You need to be prepared before your wedding day arrives. You need to write down every bridal detail you want photographed and make sure you have all of those items in one location on the wedding day, ready to shoot as soon as the photographer arrives. 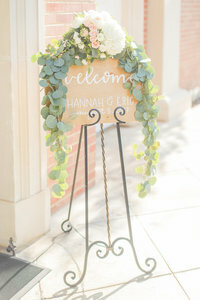 Your photographer will thank you for being organized and it will help make the day start off smooth! Wedding Dress on a Pretty Hanger I cringe when I see a beautiful gown on a metal hanger! Make sure you have your dress hanging on a pretty hanger! Bouquet and Boutonniere Your bridal bouquet and the groom’s boutonniere should be on location before the photographer arrives. 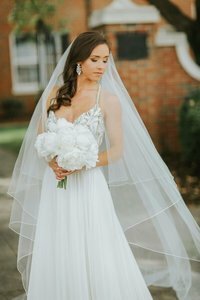 You will want to ensure the photographer gets a shot of your bouquet alone, and with some of your personal items, since the bouquet can create a beautiful background for jewelry and other bridal details. And don’t forget the groom’s boutonniere! Bridesmaids Dresses If you love the idea of having a photo of all of your bridesmaids dresses all hanging pretty in a row (like you have pinned on Pinterest!) then you need to make sure they all have pretty hangers and that the dresses are all steamed and ready to be shot when the photographer arrives. Shoes Don’t forget to have your shoes ready for the photographer to shoot. If you are planning on changing into a more comfortable shoe for the reception, be sure to have both pairs of shoes in your bridal details pile. All Three Rings Your engagement ring, your wedding band and his wedding band…Make sure you keep the rings to ensure the photographer gets this shot and make sure to get it from the groom before the wedding day. A lot of times the best man will have the ring, but don’t give it to him just yet. After the photographer captures the shot you can have a bridesmaid take your wedding band back to the best man. All Jewelry Earrings, bracelet, necklace…anything you are planning to wear. Veil or Hairpiece and Garter Don’t forget to have your veil or a hair piece ready and your garters. Something Old, New, Borrowed and Blue If you are doing this tradition then you will want to have a photo of all of these items together and you will need to let your photographer know ahead of time what these items are. Wedding Stationery Invitation, Program, Save the Date, Napkins, Menu, etc…This is another one of my all time favorite detail shots!! Special Details Things like your grandmother’s handkerchief you are carrying on your wedding day, a special locket in your bouquet…any significant details. Gift or Letter Do you plan to exchange letters with the groom or a gift? Make sure you incorporate that into the timeline so the photographer can be there when the gift or letters are exchanged. If you are presenting your mom or dad with a gift on the wedding day be sure the photographer captures that as well. I hope this will help you to be better prepared when your wedding day arrives! 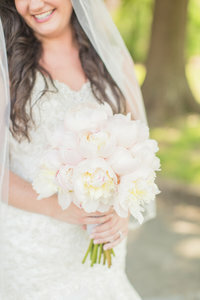 Your photographer will thank you for being prepared and for making their life so much easier!